A glimpse is enough to initiate the Awakening process which is irreversible. Breaking free of what exactly? Of the ego? The ego is us, how can we break free from ourselves? Well, as it turns out, there are different degrees of freedom. We say someone is full of ego if everything is about him is oozing ‘me, myself and I’. An ego is someone who simply cannot see beyond himself. Then comes the stage when someone becomes aware of his own agenda, and how it lines up or clashes with those of others. He can feel others, just as he becomes aware of his own feelings and thoughts. In particular if this person becomes considerate of his impact on others we may call him nice, humanistic, or ethical, but just being considerate is not yet the stage of ‘breaking free’. Awakening takes place when we perceive first glimpses of Oneness. We become aware that our thoughts and feelings are just phenomena that are separate from the being experiencing it. We manage to step out of ourselves and can occasionally merge with the feelings, thoughts and experiences of others. This is the realm of mystical experiences that are hard to describe but for everyone who has experienced them, they quickly become a second nature. The last stage of freedom is reached when the entire ‘I-structure’ starts slipping away. Oneness becomes available almost at command. This is typically the stage when we call someone enlightened. I send out a survey to some thirty long-standing spiritual friends and one respondent summed our glimpse of Oneness beautifully in the following way: “There was not one singular Awakening experience for me. 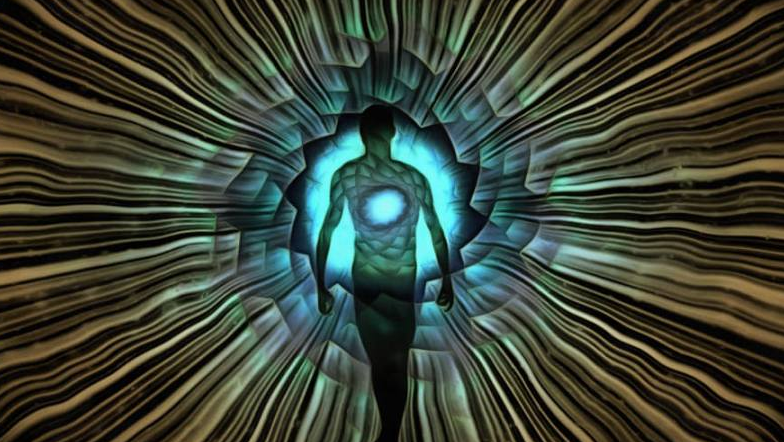 I was born Awake to more than my ‘singular’ self and perpetually throughout my life have experienced mediumship, multi-dimensionality, lucid dreaming, visions, clairvoyance and clairaudience.” That’s a classic case of ‘breaking free’, but there are countless others. In the survey we had many separate unitive experiences from experiencing synchronicity and meeting angels, to enjoying countless talents similar to the before mentioned examples. This group is also full of empaths who can literally feel the energy of the environment and the people they are operating in. A common perception in this group is that they are being transformed by a higher Power. All it often takes is one unitive experience and a journey starts with a destination that only God knows about. I also experienced what Eckhart Tolle concludes, once the genie is out of the bottle, you can’t put her back. A lifelong Home-coming mission starts that can be delayed but never be reversed again. I write for everyone who is searching for this freedom from our self-imposed limitations. I help everyone who is on a quest for the Beyond. When it comes to spirituality, everyone is a potential customer. My favorite example in this direction is a client who approached me for a few talks just because his friends were spiritual and he wanted to have a better understanding what their journey is all about. As it turned out, within a short time he had a number of experiences that can only be described as mystical. The reason is quite simple. We are born free and the moment we start knocking the doors swing wide open. When we claim our birthright, Spirit rushes to our side and launches us on a journey Home. In the survey of thirty respondents we have a wide-ranging demonstration of the countless pathways to the Beyond. Some, like the woman quoted above, are born with this out-of-body experience; some stumble on it later in life like it happened to me. Some see and talk to angels and some discover the here and now in life itself. The unitive experiences are countless. My favorite example was when one of my friends had a spiritual experience when she was eating a burger. For a moment she grasped where all the ingredients were coming from, and she felt one with them. When it comes to spirituality, everything is possible! If you are still searching for this unitive experience, trust that life will rush to your side and introduce you to Oneness once you start looking for it. Mystical experiences in common activities are frequent. It turns out that everything life has to offer can introduce you to this spiritual dimension, even life’s many problems. The largest study on mystical occurrences that I am aware of was conducted by Sir Alister Hardy examining the triggers that 5000 people experienced. While investigating the nature of mysticism and how the transformative experience got initiated for all of them, these were the results: Depression (18%), meditation (14), nature (12), worship (11), literature/film (8), illness (8), music (6), crisis (4), grief (3), sacred places (3), art (2), creative work (2), imminent death (2), silence (2), drugs (1), other (4). What state will we converge to when the transformation is finally complete? Well, God only knows but one perk of embarking on this spiritual transformation is serenity and empowerment in all of life’s occurrences. The Course in Miracles reminds us, ‘Nothing Real can be threatened. Nothing unreal exists. Herein lies the Peace of God. It is true! Why are some people working so hard to make a name for themselves? Why are some parents signing up for baby number 4 even though they already have the hands full with the first three? Why are some people searching for God? There is a restlessness inside of all of us and we unfortunately can’t sit still until we have found the answers or expressed our inner drives. Yet, after the transformation is over we settle into a new reality and we feel at peace doing what we are doing. No more restless drive, no more repressed agenda. Just being happy following the calling of the unitive experience day in, day out. When I distributed this note in a spiritual community, a woman responded that she resisted the process for a few years but now she experiences bliss, mostly, that is. That’s right, bliss and happiness are also signposts of the Way, but life has its ups and downs for us as well. Soon we realize that every irritation, every interference, is but an invite to dig a little deeper. We may not be blissful when we swim upstream but we are curious what will come of it. Again and again we find that each and every thunderstorm scratches another skin of our fragile ego skeleton until one day there is nothing left but hot air. Says Sadhguru, “Talking or acting spiritual is of no use. Spirituality is about transforming yourself.” Let life transform you. That way you can look forward to whatever life brings your way. Don’t you realize, you are free here and now!